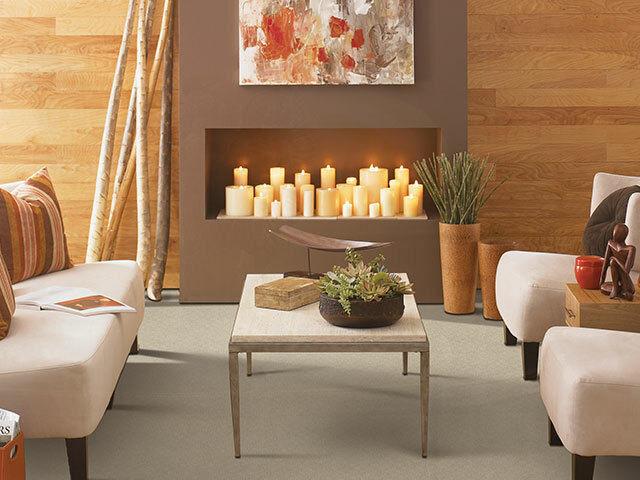 Eco-friendly carpeting has become more popular than ever in the past few years. Why? Conventional carpeting is often made with synthetic petroleum-derived fibers that come treated with so-called stain resistant chemicals. These fibers and the stain resistant treatments have a tendency to “off-gas” into the surrounding air after they’re installed. Most carpet brands use “styrene butadiene rubber” as an adhesive (SBR), and the padding may be a composite of materials held together by a glue made of volatile compounds. Like treated carpets, these pads can off-gas chemicals into your home. Plus, latex binder is used to secure carpet fibers to the carpet backing. When the chemicals in the latex off-gas, they can release a VOC (volatile organic compound) called 4-phenylcyclohesene (4-PCH). The 4-PCH is what emits “new carpet” smell. It’s also what could make you sick. Slowly but steadily, the chemicals in the carpeting and stain treatment product evaporate into the air you breathe, becoming a significant source of indoor air pollution. As a result, you could suffer from nose and throat discomfort, headaches, an allergic skin reaction, difficulty breathing, nausea, fatigue, and dizziness. There are a couple of different ways to make sure your home’s carpeting is as healthy as possible. You can check the carpet label to make sure it’s been tested by the Carpet and Rug Institute’s (CRI) Indoor Air Quality testing program and has passed the CRI’s standards for low emission. But the best option is to choose sustainable carpets and padding materials that are free of toxic VOCs. Here are some sustainable carpet options for a healthier home. Wool – This choice is becoming increasingly popular as a sustainable carpeting option. The advantage is that it’s not treated with harmful chemicals, such as the kind used in mothproofing, stain repellants, and fire retardants. It’s also not processed with synthetic dyes. Plus, the carpet padding contains no synthetic materials or styrene butadiene adhesive. Wool carpeting is a good choice for anyone, but particularly for people who suffer from chemical sensitivities. Though wool can absorb air pollutants, it does not re-emit them—and wool carpets are known to continually purify indoor air for up to 30 years. Mohawk – This brand’s Eco-Chic line uses reclaimed, natural materials and items made from recycled elements, like EverStrand, which is produced with up to 100% recycled content. 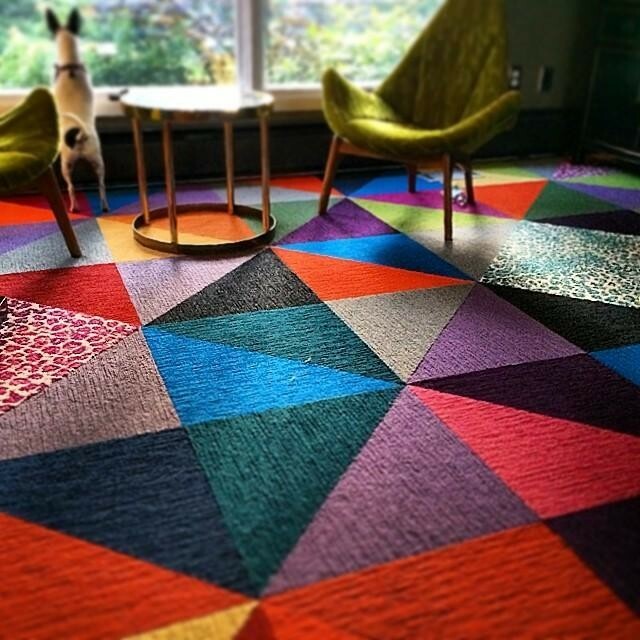 Mohawk carpet is sustainably certified by NSF and Underwriters Laboratories’ Environmental Claim Validation, which verifies the recycled content of products. The Carpet and Rug Institute’s (CRI) Green Label and Green Label Plus programs certify that Mohawk’s complete line of carpeting will not adversely affect indoor air quality. GreenGuard’s Indoor Air Quality Certified label further indicates that Mohawk products designed for use indoors meet strict chemical emission limits. Nature’s Carpet – This company makes 100% wool carpets in over 60 styles and colors. Its certifications include CRI Green Label Plus, indicating that the product has passed stringent tests of chemical emissions; and LEED (Leadership in Energy and Environmental Design) Green Building Rating System, which the company earned for using rapidly renewable, low-emissive materials as well as being innovative in design to be fully biodegradable. This carpet also meets the International Organization for Standardization (ISO) criteria for “dark green” certification. EarthWeave – This company produces only 100% natural wool floor coverings and natural rubber gripper pad or wool-based carpet padding free of dyes, fire retardants, glues, moth proofing or adhesives. They claim it is so biodegradable, you can even recycle it in the garden. Simply spread it out over garden plots, as it will add nutrients to the soil and help control weeds as it decomposes. FLOR – This company makes carpet tiles that are made from reclaimed and recycled materials and manufactured in energy efficient facilities that use less water and energy and produce less waste. They’re designed to be easily removed, so damaging one tile doesn’t mean the entire carpet needs to be replaced. Most FLOR face fibers are nylon, PET, and nylon blends. Carpet backings are a vinyl composite, made from recycled materials, and they’re available in a dizzying amount of styles, from neutral and conservative to bright and bold. FLOR carpet tiles meet or exceed the Carpet & Rug Institute’s Green Label Plus standards for VOC emissions and are recyclable. When you’re ready to dispose of FLOR, contact them and they will send you shipping labels (and packaging if you need it) for your tiles. The boxed and labeled tiles can be dropped off at any UPS store for shipment back to FLOR. Recycled PET carpeting – Carpeting made from polyethyelene terephthalate (PET) plastics like recycled milk jugs and soda bottles offers some advantages, in that it reuses the bottles. PET fibers are naturally stain-resistant and don’t require the chemical treatments used on most nylon carpets. They retain color and resist fading. The carpet can be recycled into car parts, insulation, and furniture stuffing. The only downside is that PET carpeting can shed microfibers—and microplastic is a growing source of pollution in the environment—but frequent vacuuming helps avoid this problem. Recycling old carpeting when you remove it. Cost will depend on how much carpet you buy and, in some cases, where you live. Generally, wool carpeting is more expensive than synthetic carpet—although it’s more durable, so it won’t need replacing as soon as synthetic carpeting will. On average, synthetic fiber carpets made from nylon, polyester, or olefin run from about $2 to $15 per square foot, and wool carpeting ranges from $5 to $26 per square foot. Generally, when buying carpet, you can choose the quality of padding you prefer. The price is then wrapped into the overall purchase and installation package. 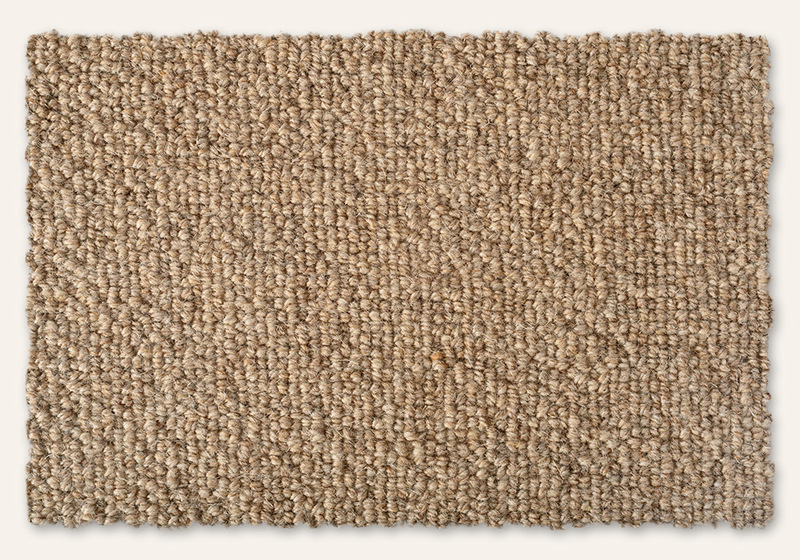 Carpet made from PET fibers can be priced comparably to synthetic carpets. It will depend on the quality of carpet chosen, and how much carpet is installed. Many carpet installers now recycle the old carpet they remove from your home when they install the new products—they simply carry away old carpet and recycle it at no additional cost to the consumer.Contact the Carpet America Recovery Effort to find out which locations in your area will recycle carpet. You can also check with Earth911. 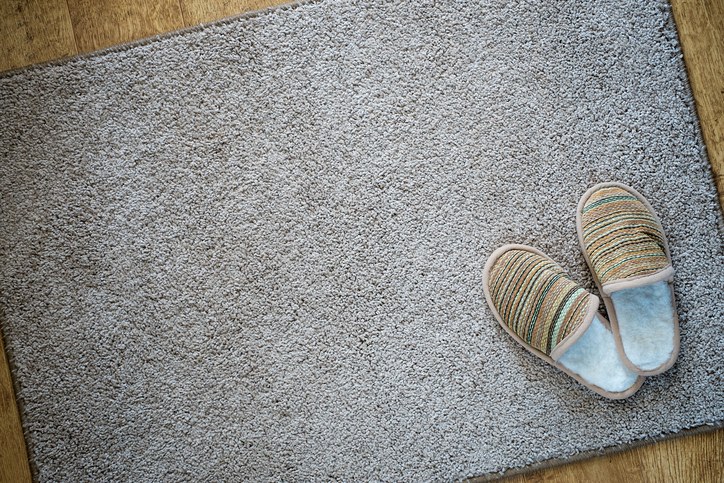 Due to health concerns, used carpet isn’t usually donated to homeowners or charities, but new or unused carpet can be donated to local charities—especially those specializing in building or home restoration. Many companies that recycle carpet also take carpet padding. Carpet padding is recycled separately from carpet, so it’s best to double-check that both are accepted by the program you choose to use to recycle your carpet. EcoChoices says that its 100% natural wool padding lasts many years before needing to be replaced. When it does, they say it—like Earth Weave carpet—can be recycled by spreading it across your garden. There, it is supposed to safely biodegrade and add nitrogen and other nutrients to the soil while serving as an effective weed barrier and mulch. Talk about sustainable carpeting!